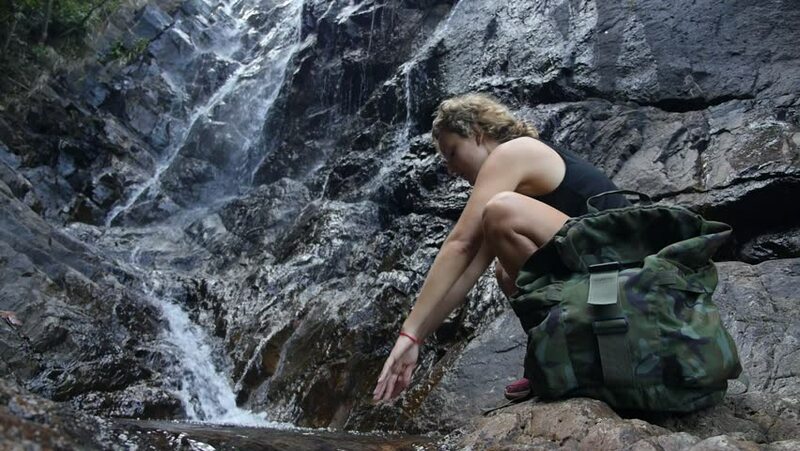 Woman Traveler with Military Backpack Hiking at Waterfall. Slow Motion. HD, 1920x1080.